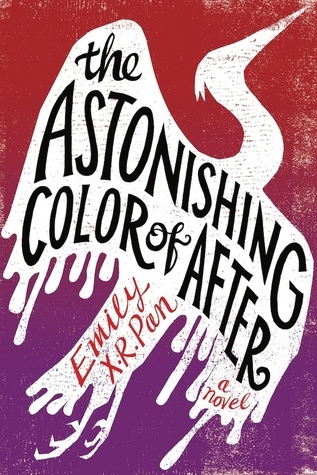 The Astonishing Color of After by Emily X.R. Pan has an expected publication date of March 20th, 2018 by Little, Brown Books. Synopsis: Leigh Chen Sanders is absolutely certain about one thing: When her mother died by suicide, she turned into a bird. Leigh, who is half Asian and half white, travels to Taiwan to meet her maternal grandparents for the first time. There, she is determined to find her mother, the bird. In her search, she winds up chasing after ghosts, uncovering family secrets, and forging a new relationship with her grandparents. And as she grieves, she must try to reconcile the fact that on the same day she kissed her best friend and longtime secret crush, Axel, her mother was taking her own life.Alternating between real and magic, past and present, friendship and romance, hope and despair, The Astonishing Color of After is a novel about finding oneself through family history, art, grief, and love. About the author: Emily X.R. Pan lives in Brooklyn, New York, but was born in the Midwestern United States to immigrant parents from Taiwan. She received her MFA from NYU, where she was a Goldwater Fellow. She is a co-creator of FORESHADOW: A Serial YA Anthology, and a 2017 Artist-in-Residence at Djerassi. She logs the books she reads in an Excel spreadsheet and a secret other Goodreads account.